48 inch Professional Series Pro Grand Commercial Depth Dual Fuel Range PRD486JDGU. The combination of powerful performance and elegant styling makes the Thermador Professional Series Range the epitome of American luxury in the kitchen. 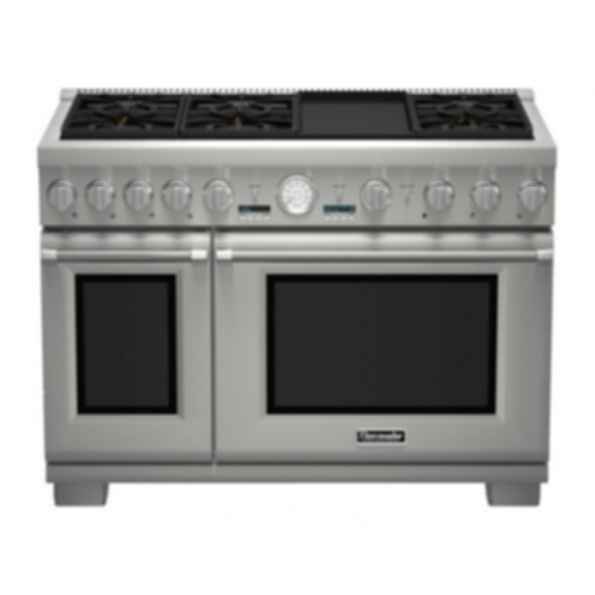 With ultimate performance driven innovation, these ranges now feature our easy-to-clean porcelain cooktop, ExtraLow® simmering featuring our Star® Burners, 22,000 BTUs Power Burner, a large capacity Convection Oven and SoftClose® doors.